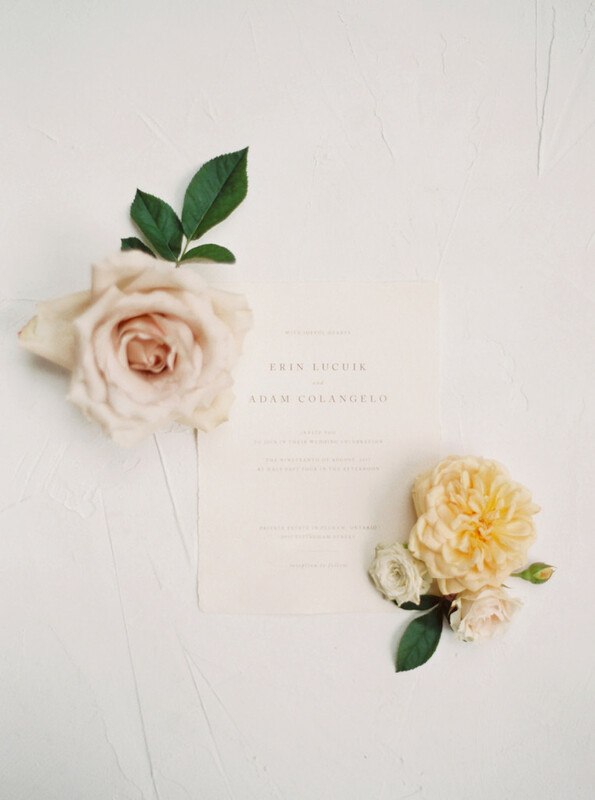 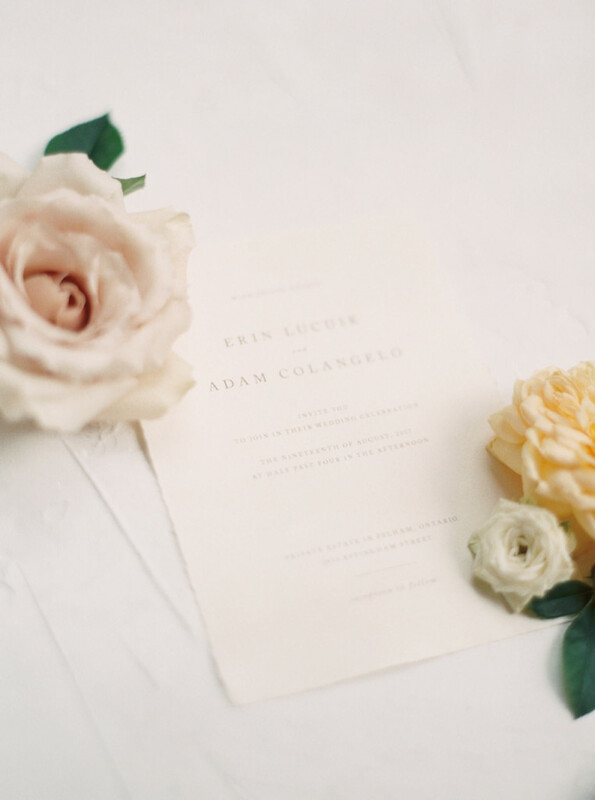 It’s always such a treat to work with fellow wedding vendors for their own wedding, and when Erin from Mum’s Garden Floral Studio sent me a note about designing her wedding stationery, I knew it would be an enchanting event! 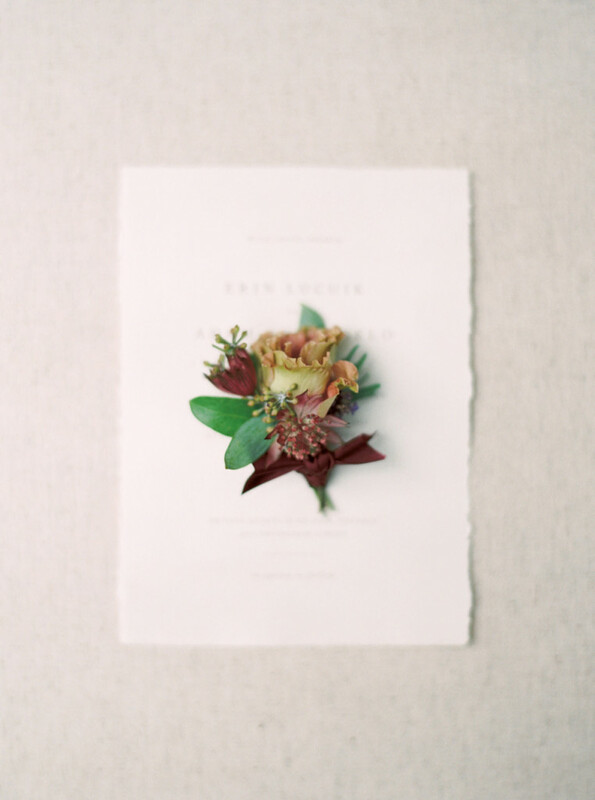 Erin’s floristry work is vibrant, thoughtful and full of beauty – attributes that I have come to learn she possesses so distinctly. 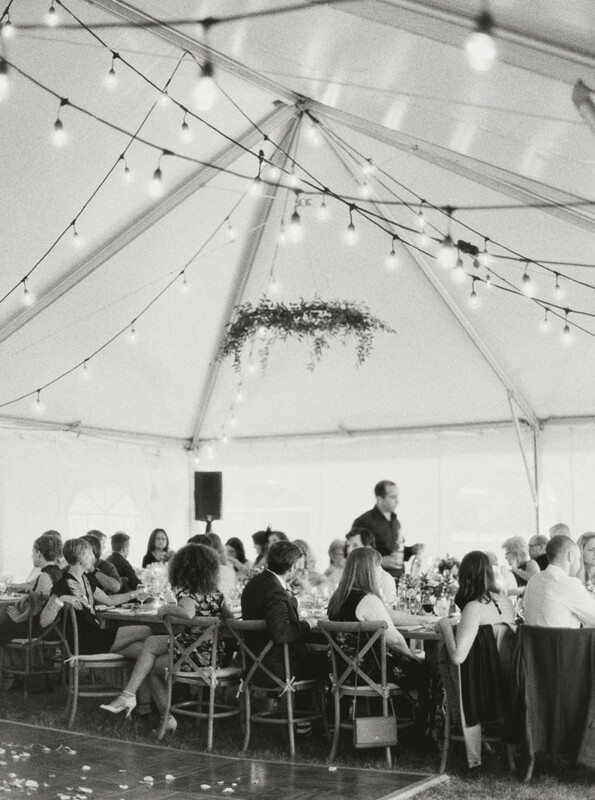 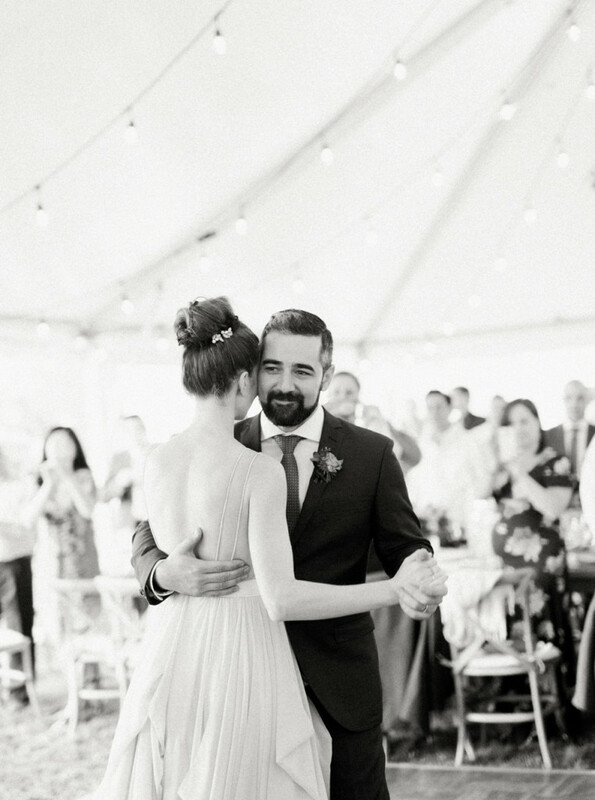 Working with a bride that already is so knowledgeable about the industry inherently ensures a stunning event, and Erin & Adam’s wedding was no exception! 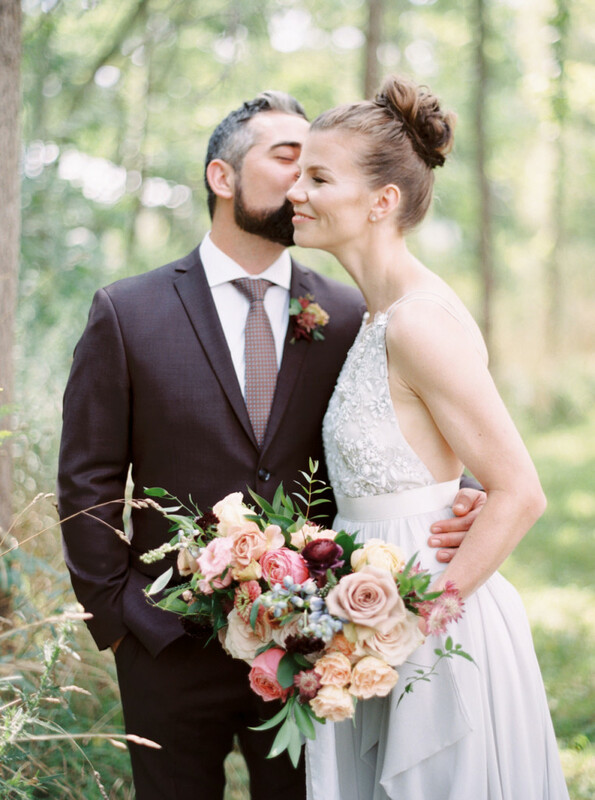 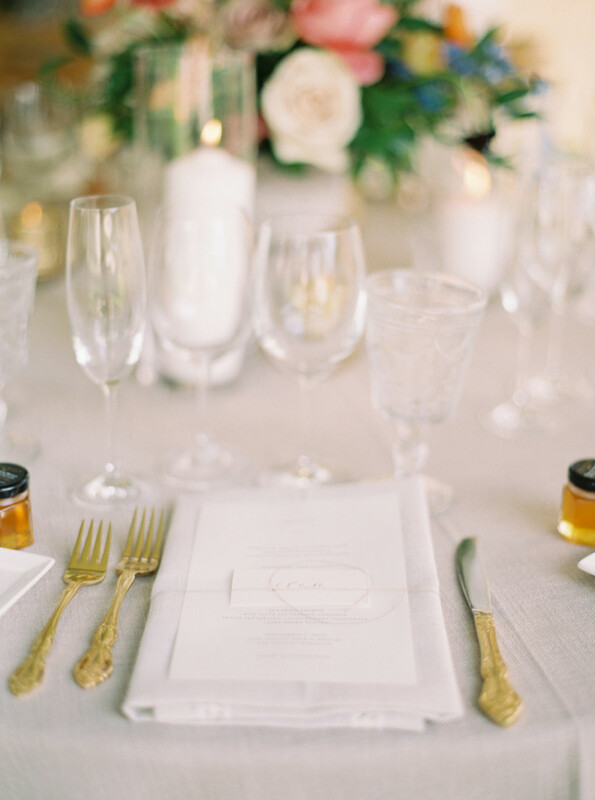 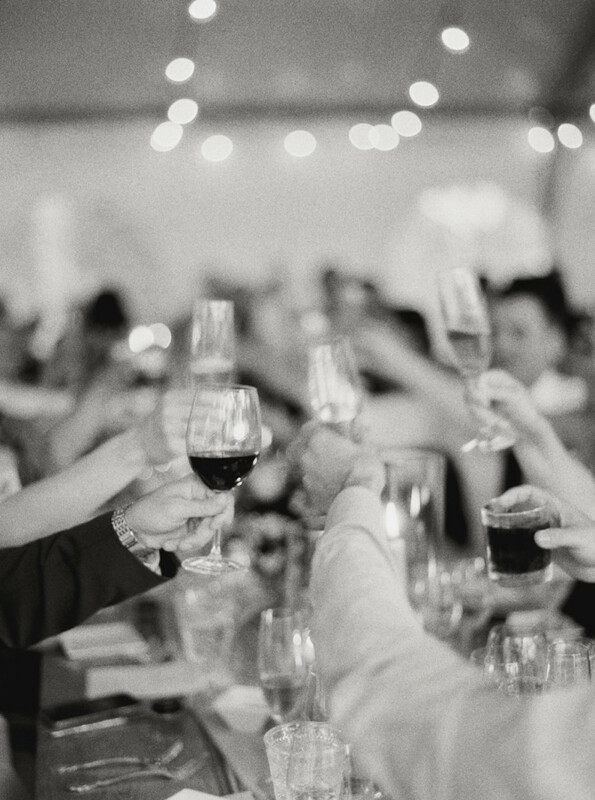 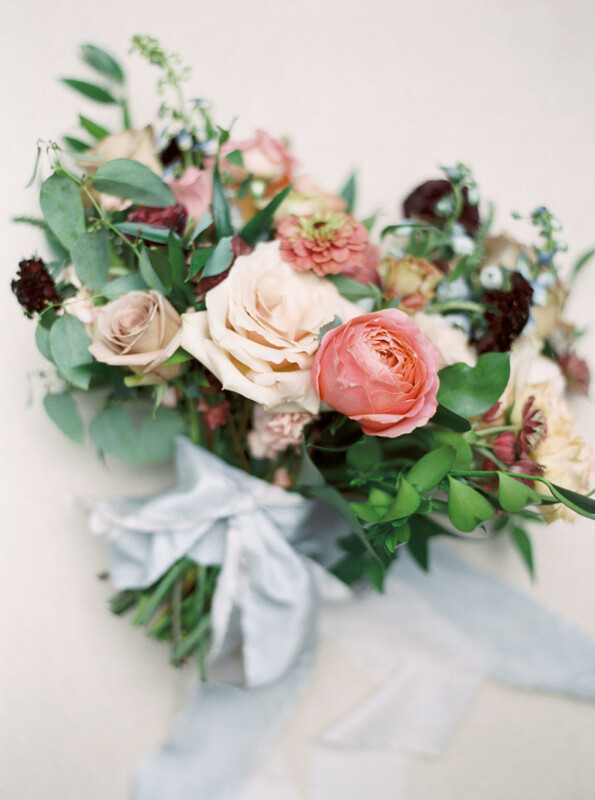 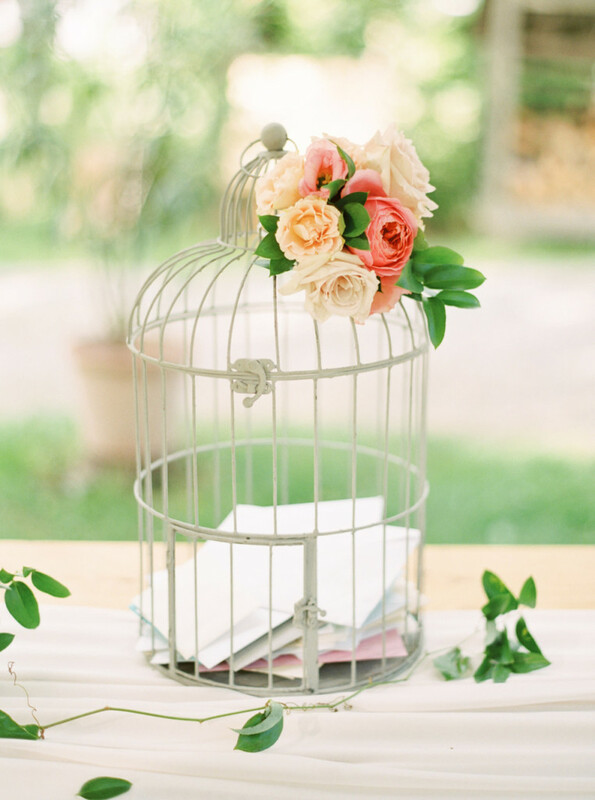 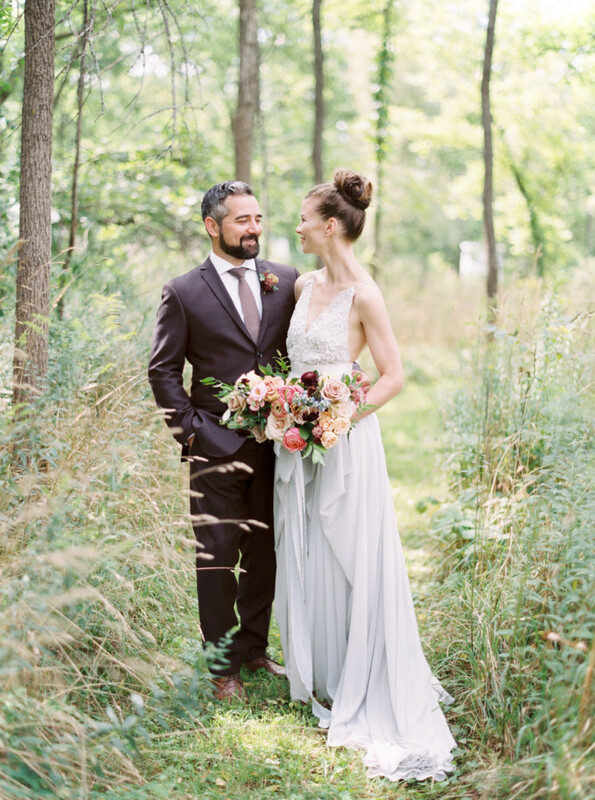 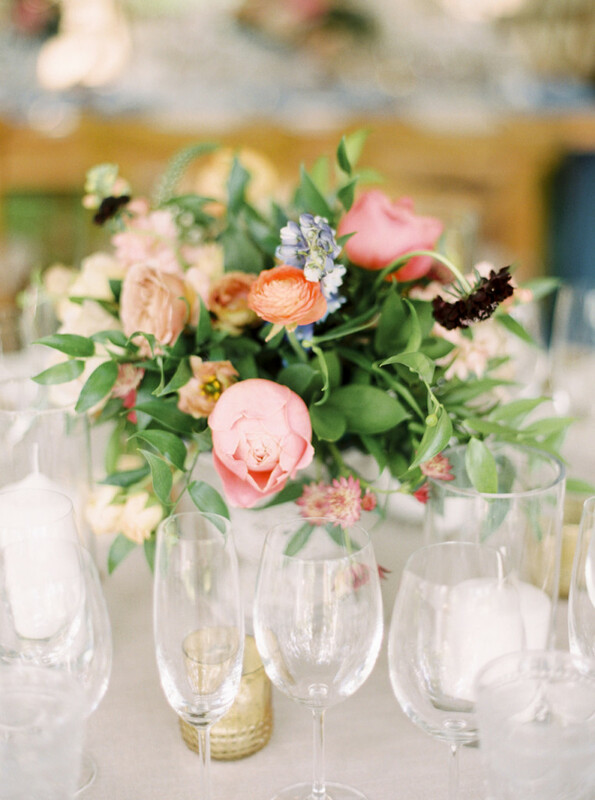 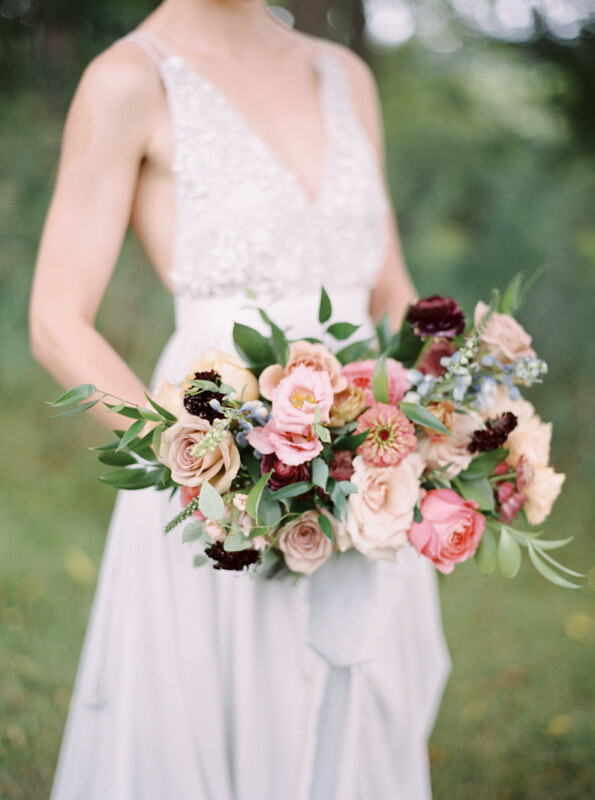 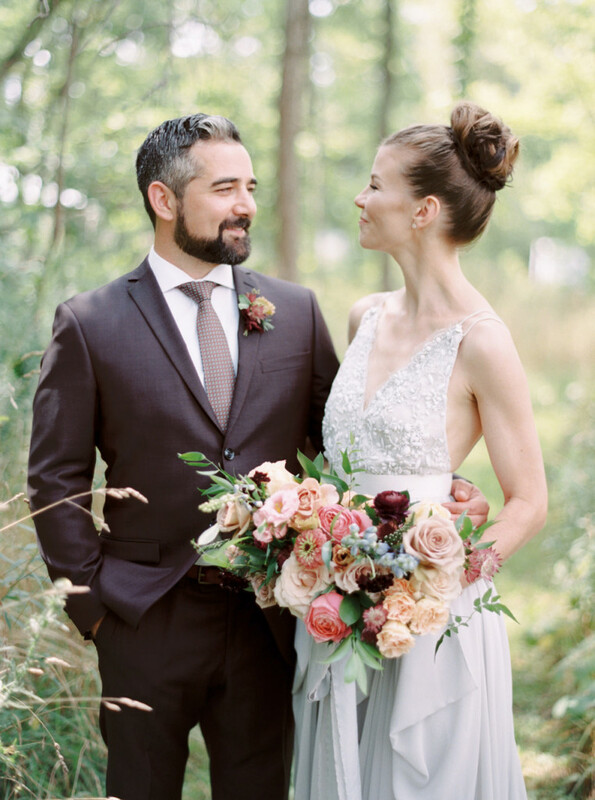 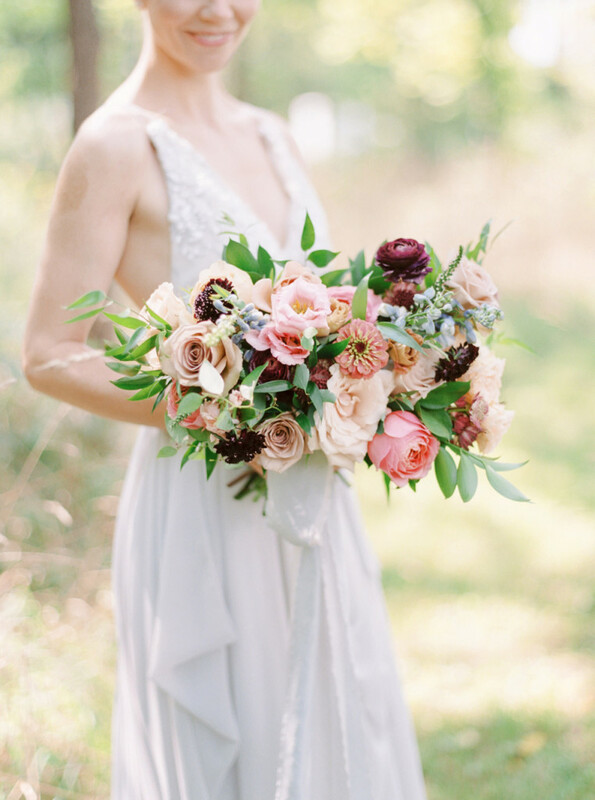 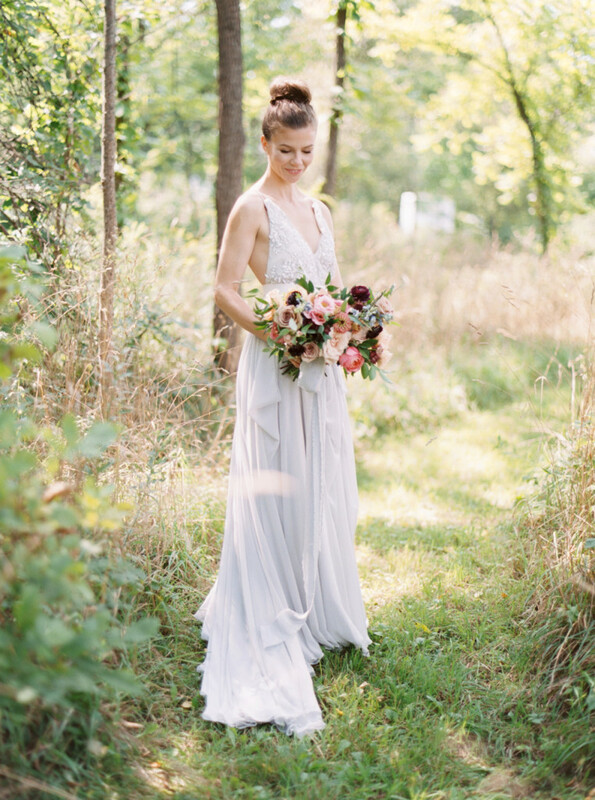 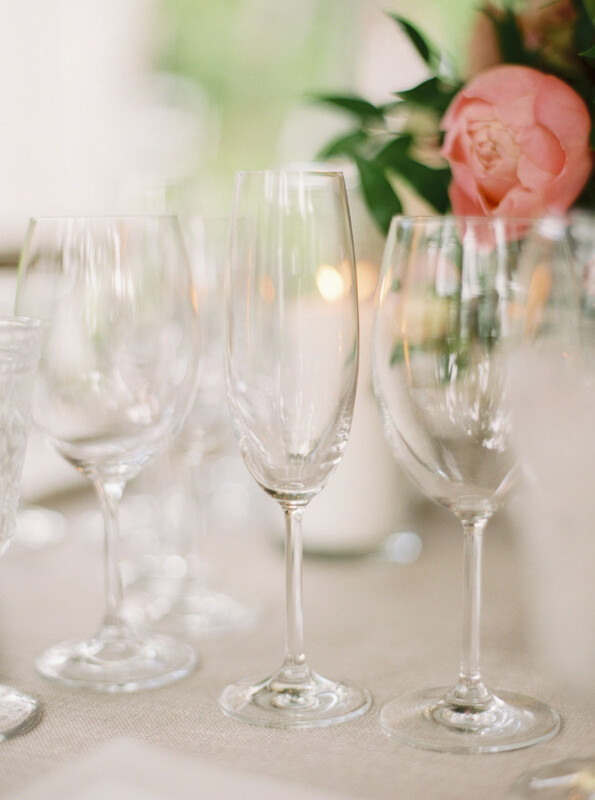 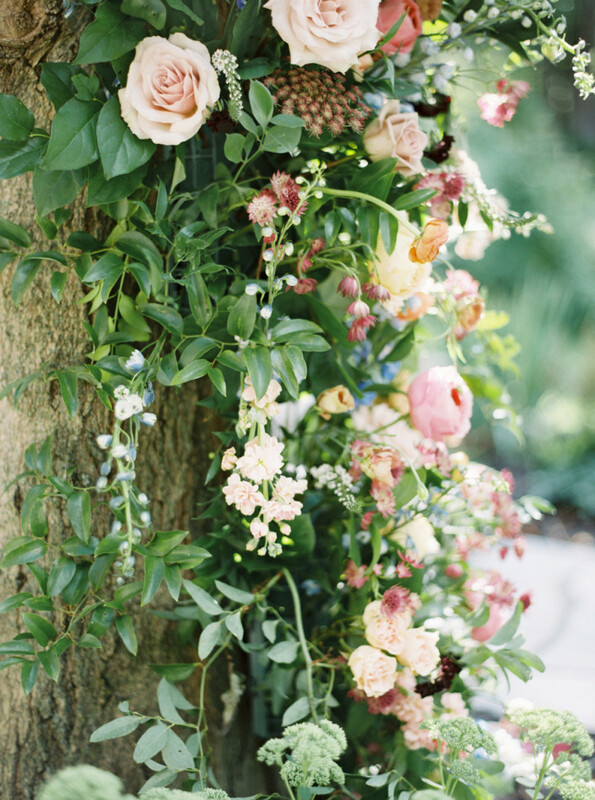 Pleased to see this real wedding featured on Magnolia Rouge! 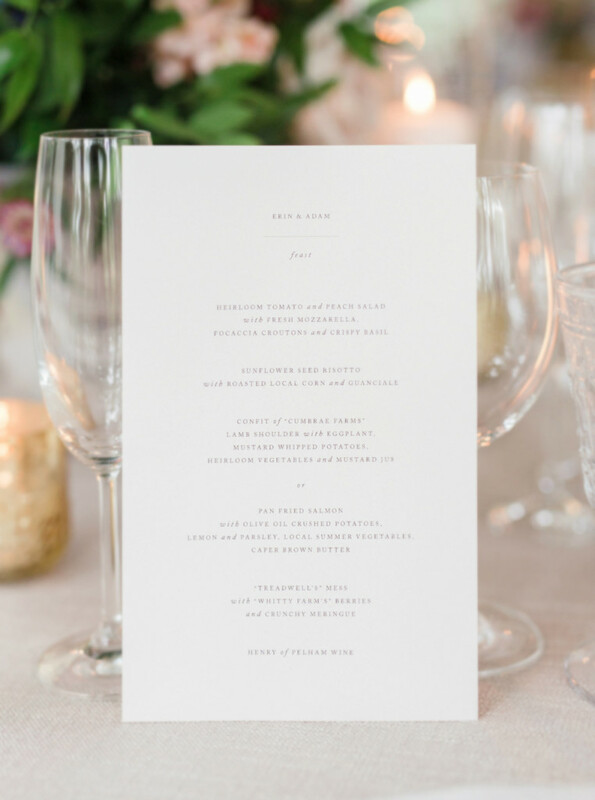 As Erin had decided quite early that her wedding florals and table décor would be colourful and bright, we opted to complement these tones with a very clean and neutral palette for the stationery. 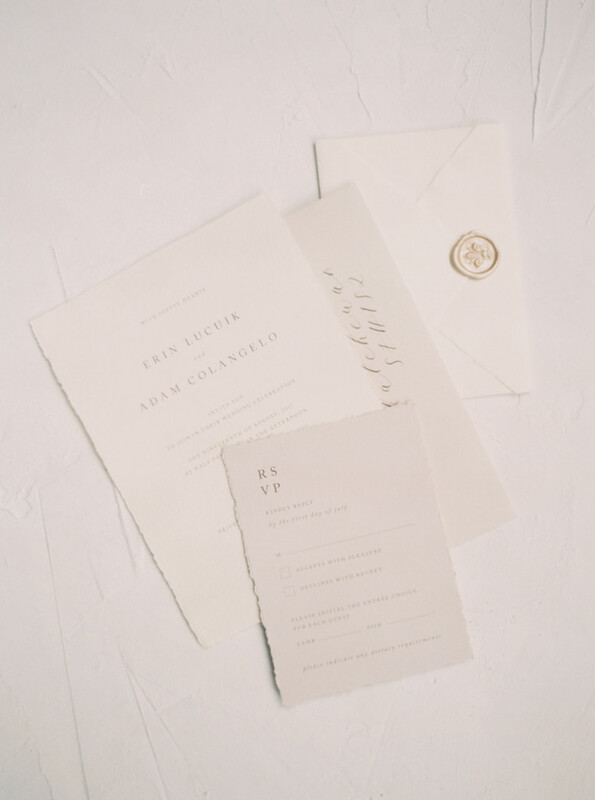 Soft tones of taupe, beige and ivory were combined with a simple typeface style creating a classically elegant invitation suite. 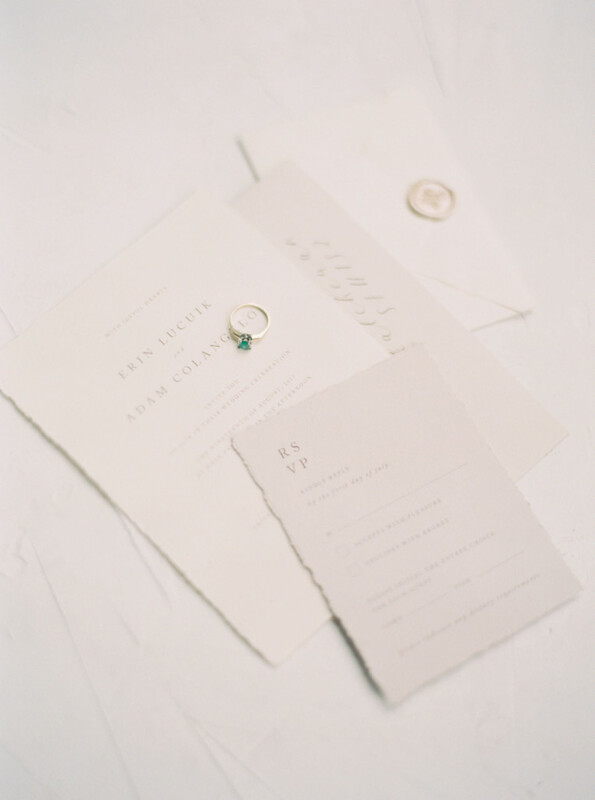 Their invitations were printed on mixed paper stocks with natural edges, allowing for texture to play into the tactile experience for her guests receiving them. 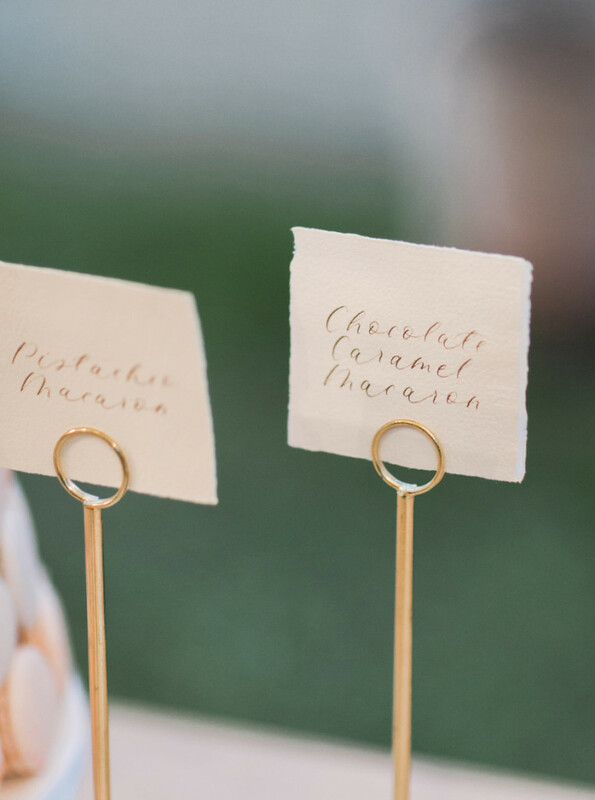 We used earthy shades of walnut brown for printing and calligraphy through all of their paper goods, which complemented their colour palette in a beautifully natural way. 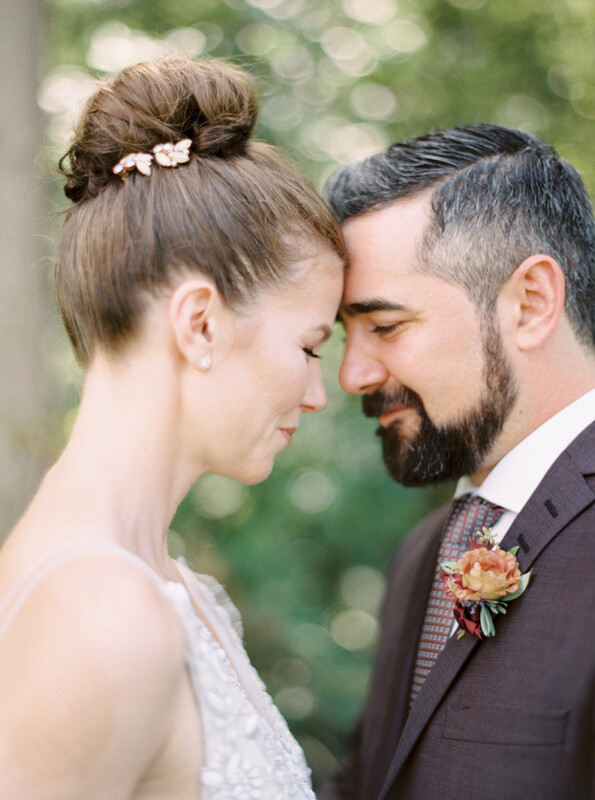 I am so grateful to have gotten to know Erin as closely as I did throughout this process. 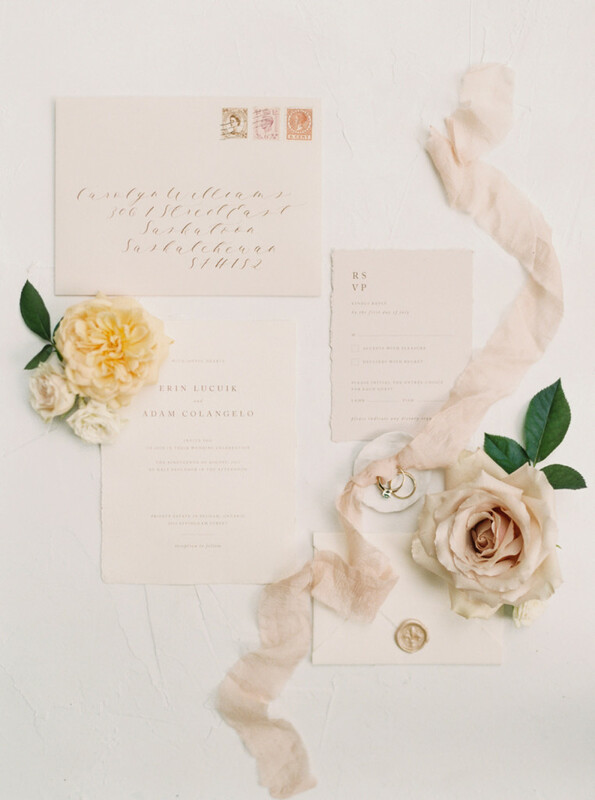 Not only did I have a wonderful time collaborating with her on her stationery, I had the privilege of befriending someone that has such an air of kindness and grace. 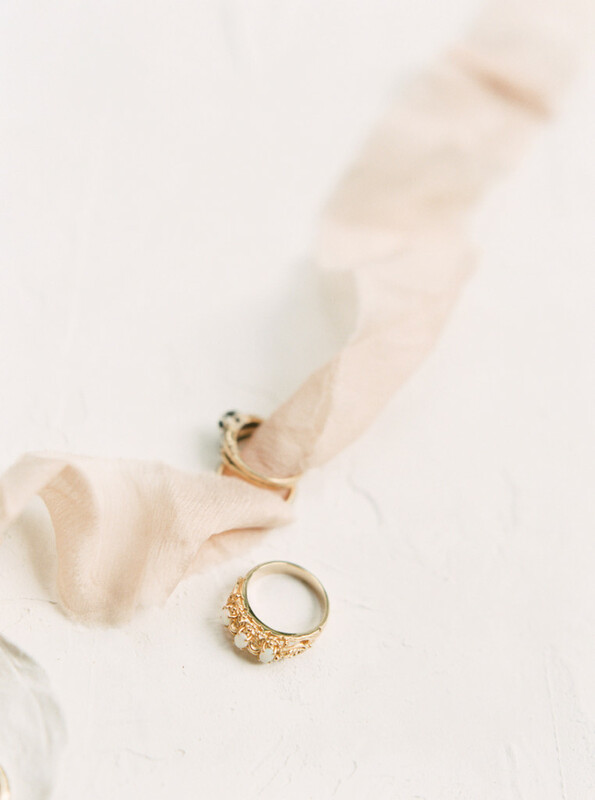 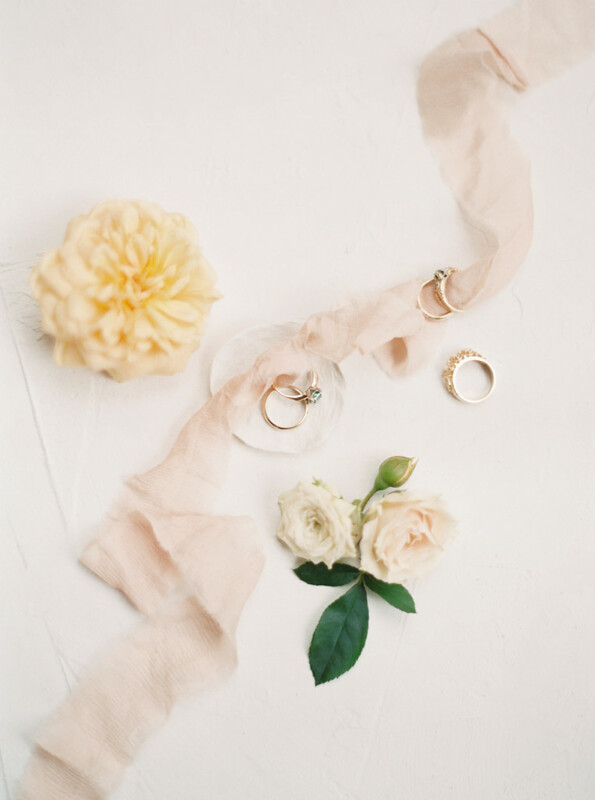 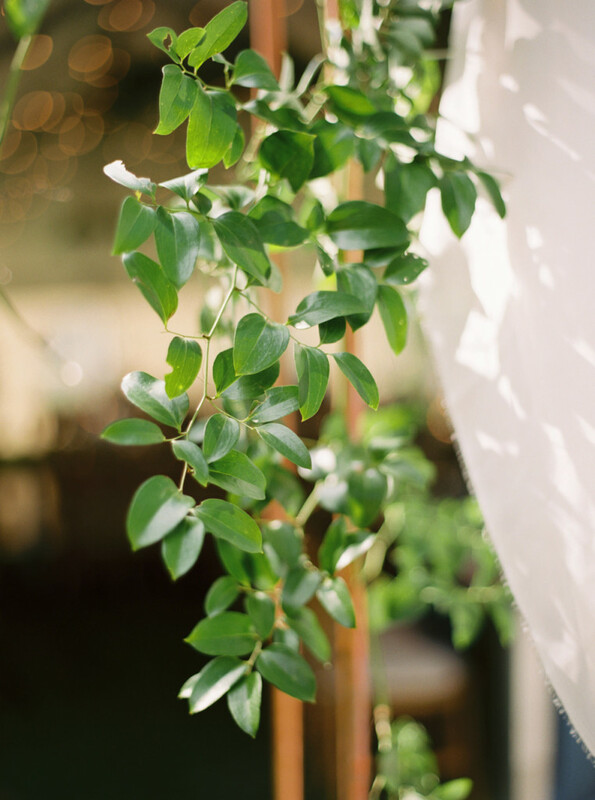 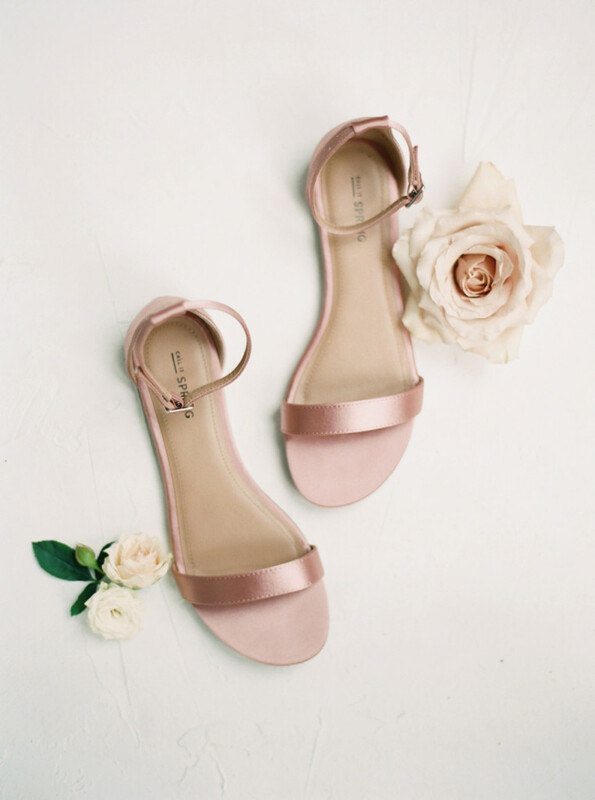 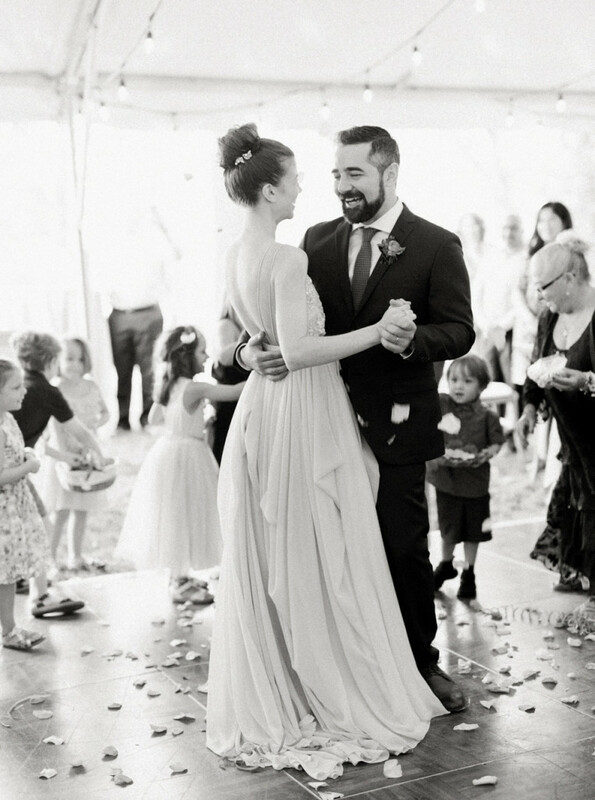 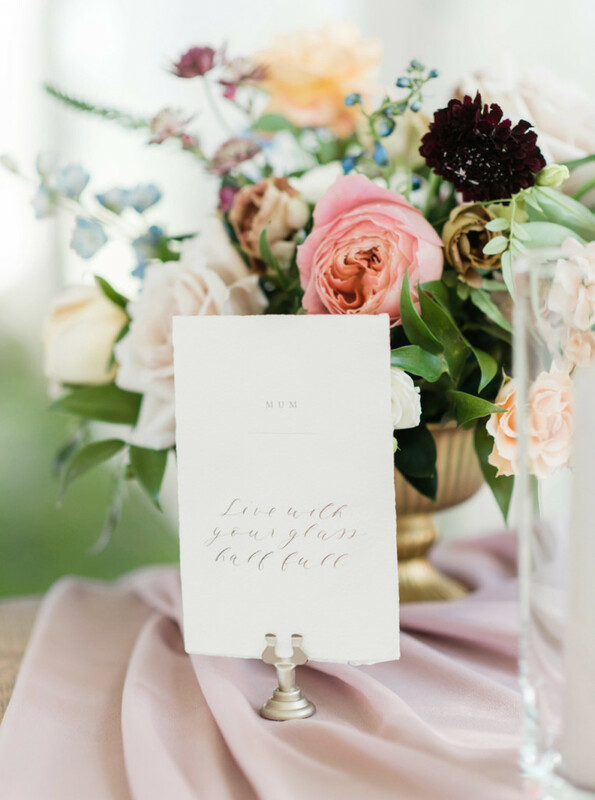 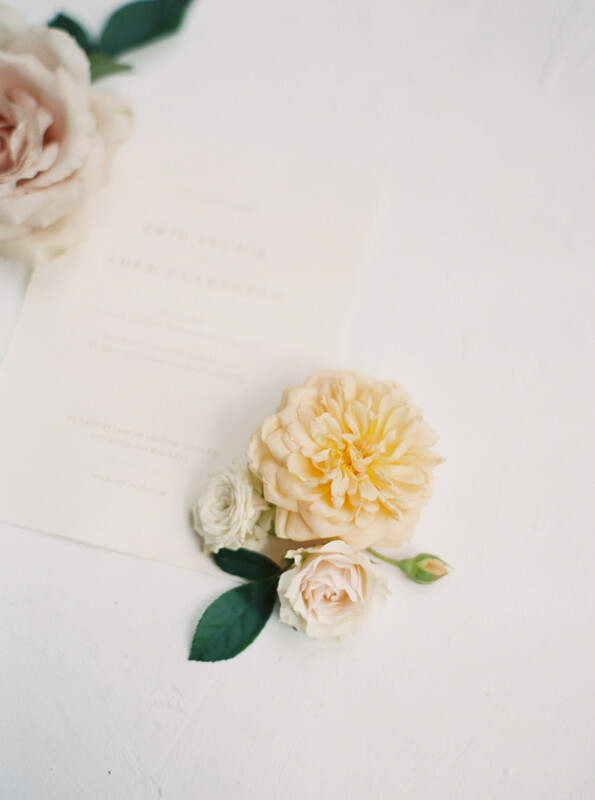 Erin shared with me how much her late mother meant to her, and how she wanted to incorporate thoughtful touches for her Mum throughout her wedding. 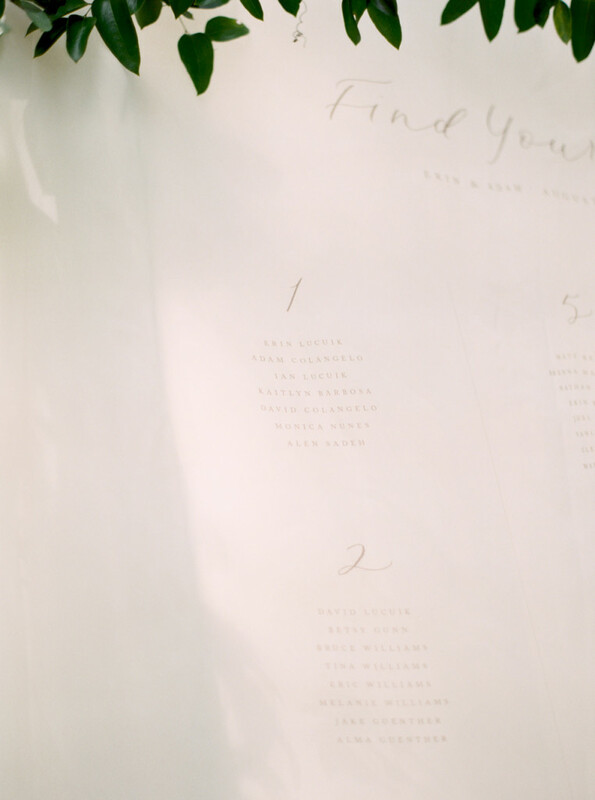 The heirloom suite we had photographed the day of the wedding contained her Mum’s mailing address, when she was young and growing up in Saskatchewan. 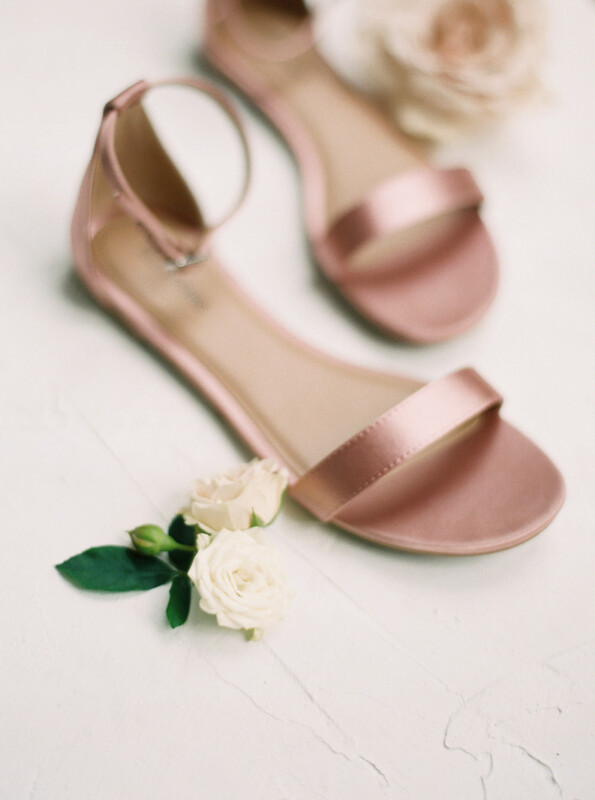 It’s so important to focus on meaningful details for your wedding, especially when it comes to loved ones, and it brought me great joy to play this special part for Erin and her Mum. 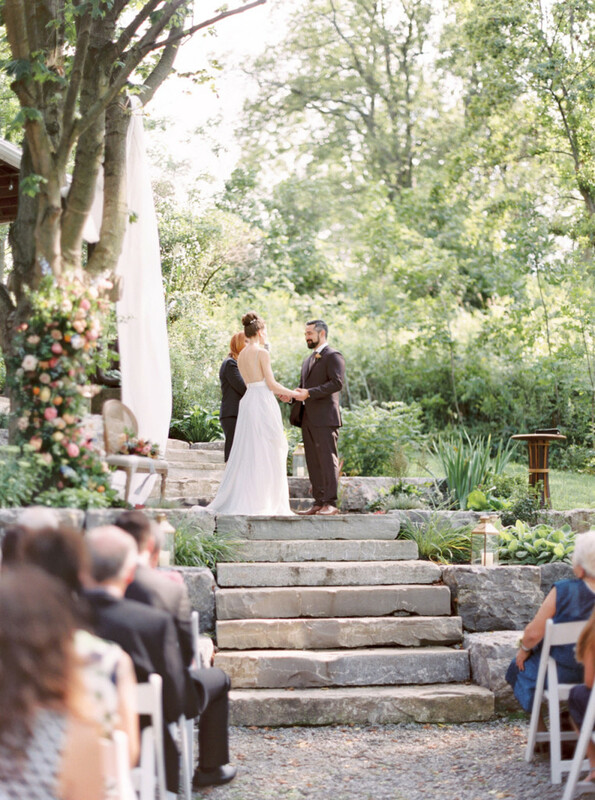 On a beautiful August day, Erin & Adam’s outdoor wedding set place at their home property in St. Catharine’s, Ontario. 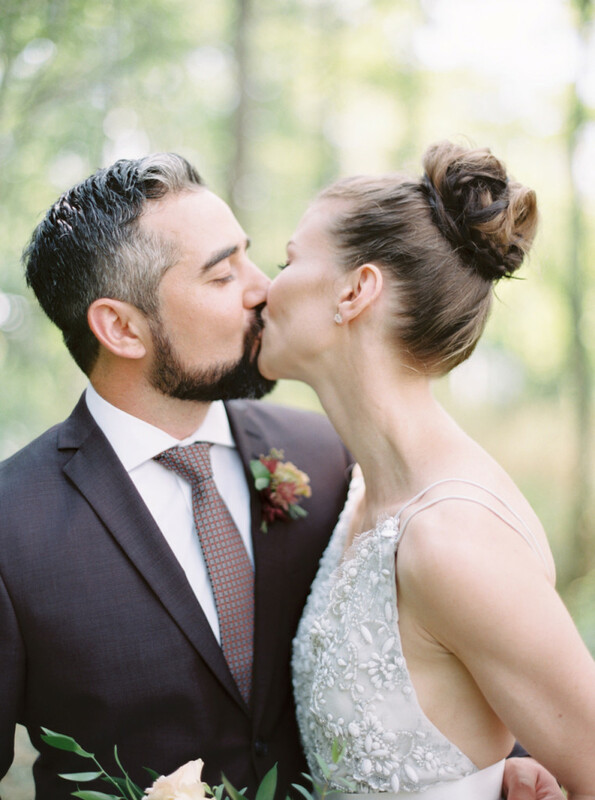 They had an intimate first look together before their ceremony, ensuring lots of relaxed time for portraits. 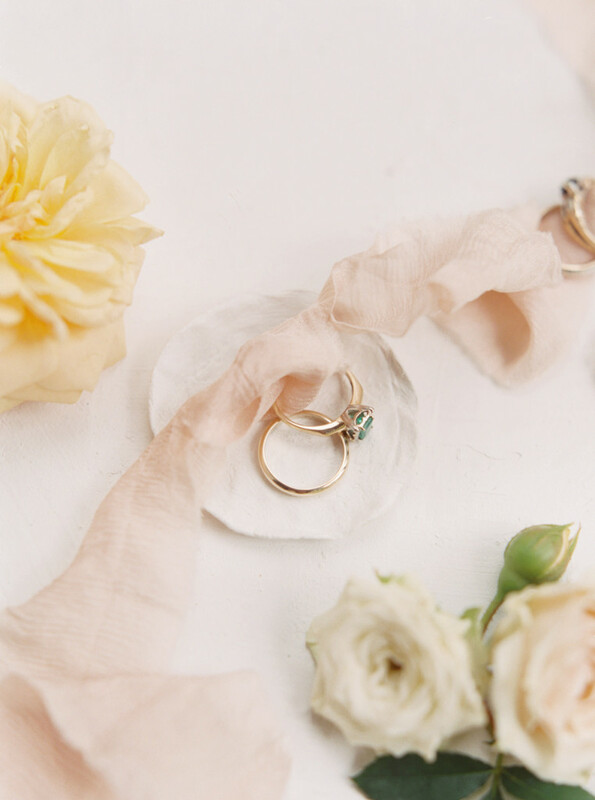 Erin wore her Mum’s ring, as well as her Grandmother’s ring – so sweet and sentimental! 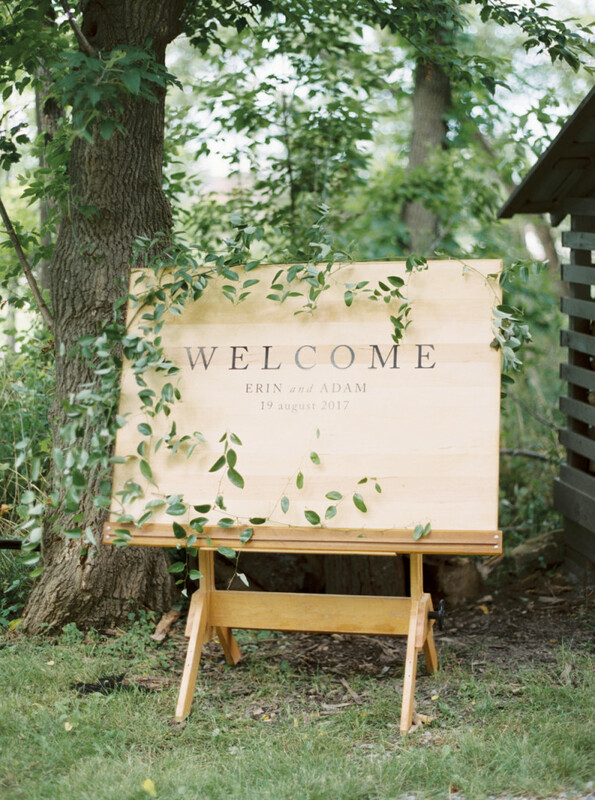 Guests walked onto the property to discover a beautiful setting; a lovely wooden welcome sign crafted by Adam (a talented artist) graced the entrance, followed by the sight of the grand, yet relaxed ceremony setup. 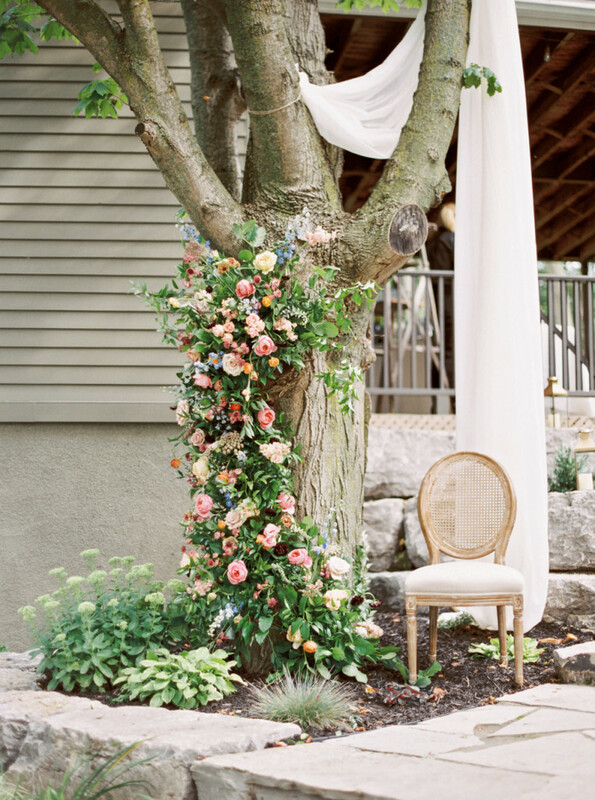 Erin decorated the tree trunk at their ceremony space with a grand amount of colourful florals, and draped simple ivory chiffon across some of the branches. 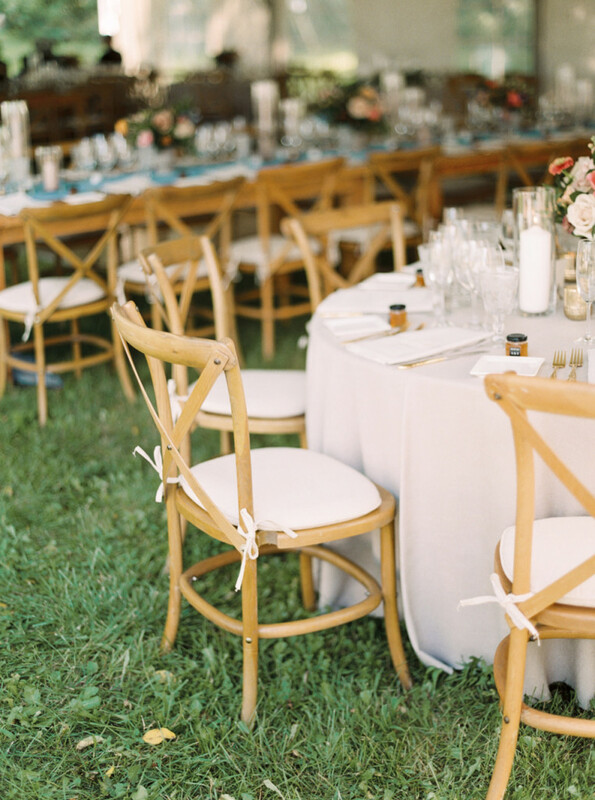 A single chair was set to hold Erin’s bouquet. 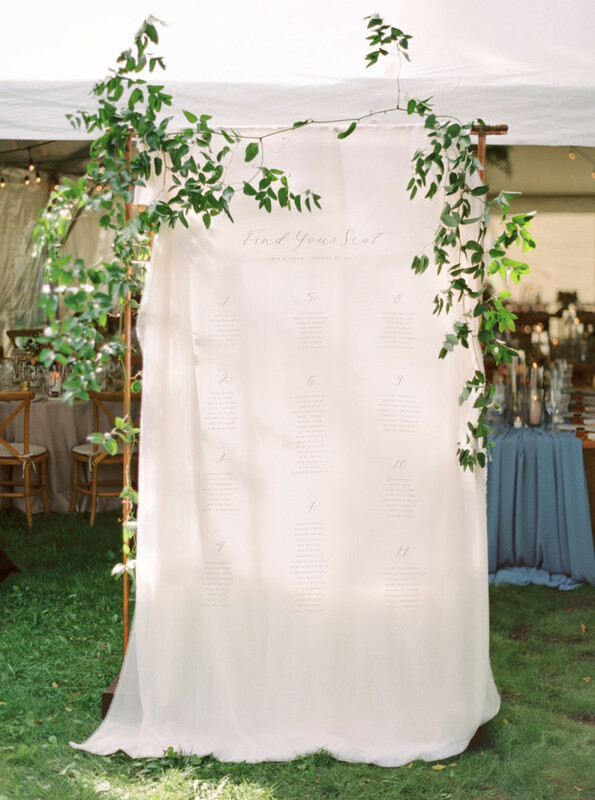 After the ceremony, guests sipped cocktails and viewed the show-stopping seating chart we had set up at the entrance of the tent. 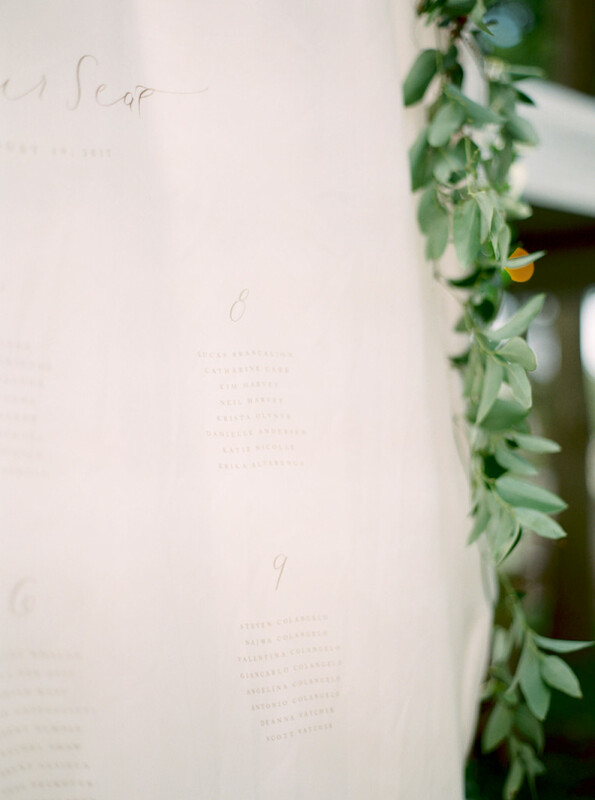 We printed on delicate chiffon, and draped it upon a copper archway that Adam had also thoughtfully crafted. 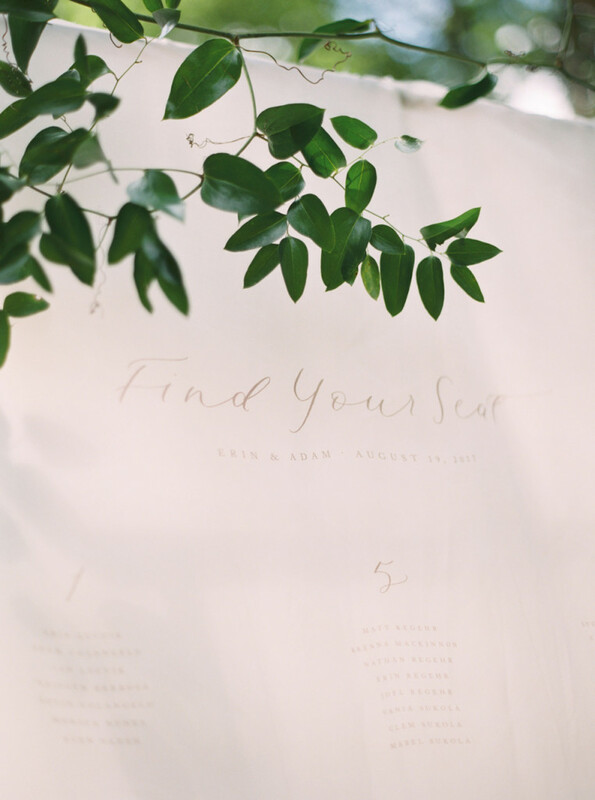 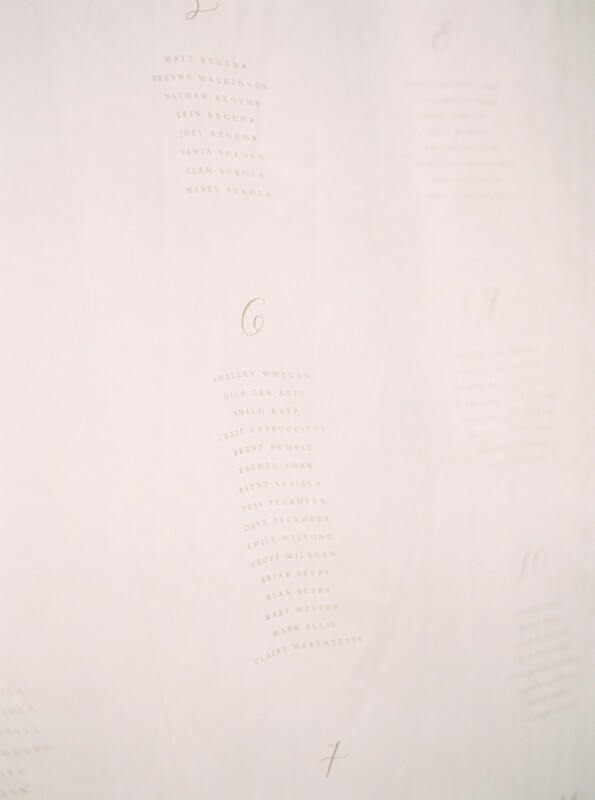 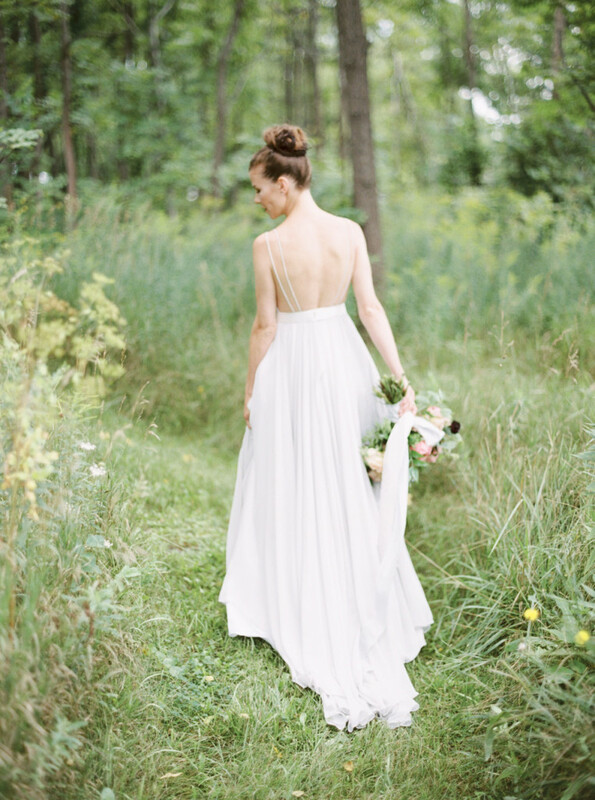 Erin adorned the top with natural greenery, achieving my very favourite seating chart style ever! 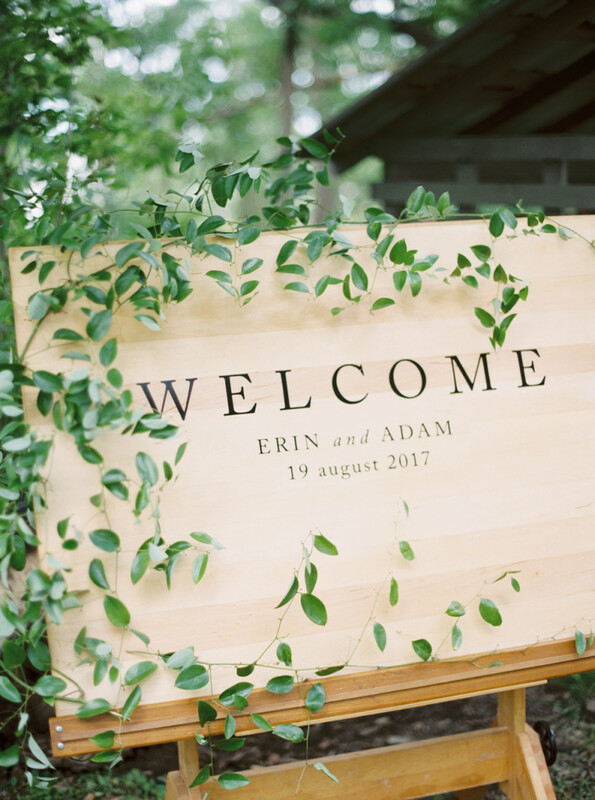 One of my most memorable moments of the day was seeing guests so enchanted by the sight of the signage dancing delicately in the summer wind! 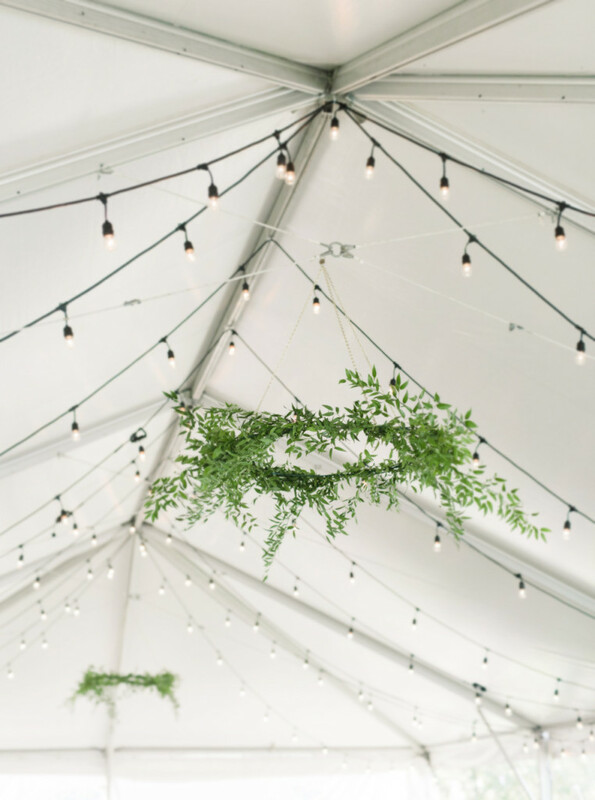 The tented reception space felt light and airy with lush arrangements atop each table and hanging floral chandeliers. 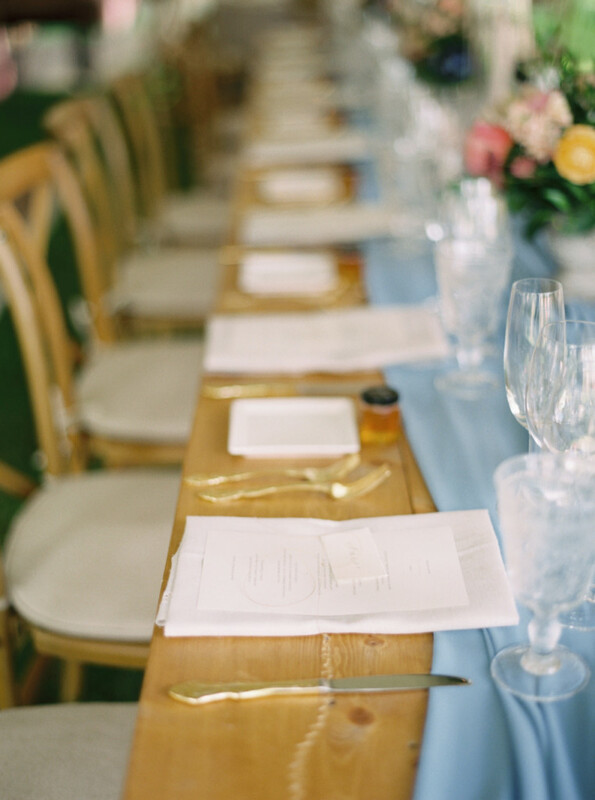 Half of the tables were covered with linens while others were beautiful wooden harvest tables with organic blue table runners. 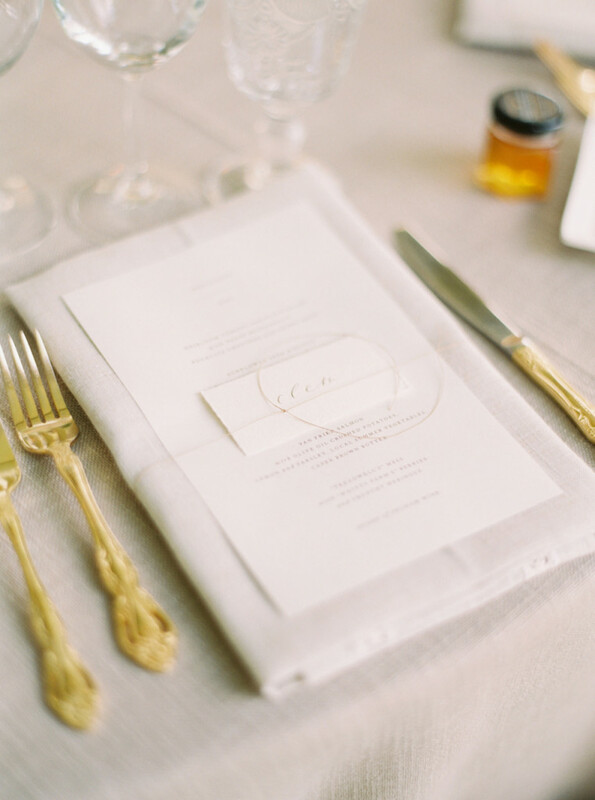 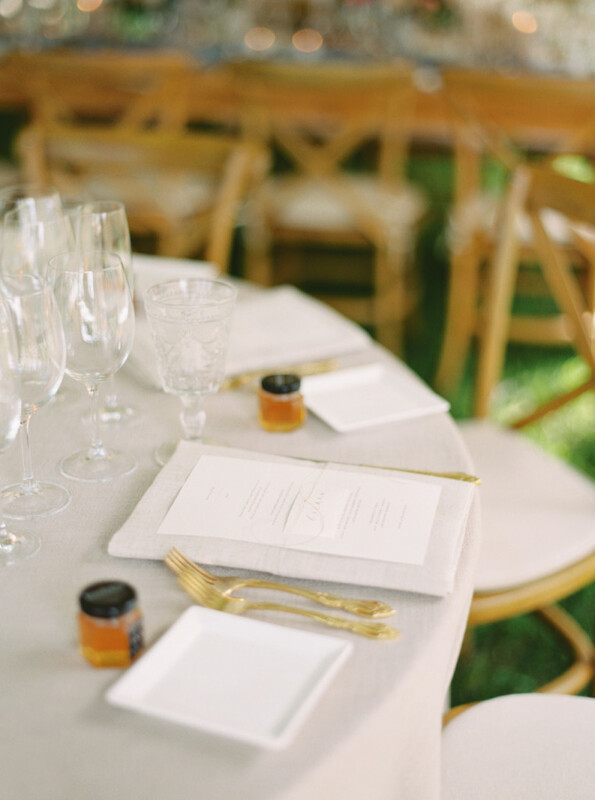 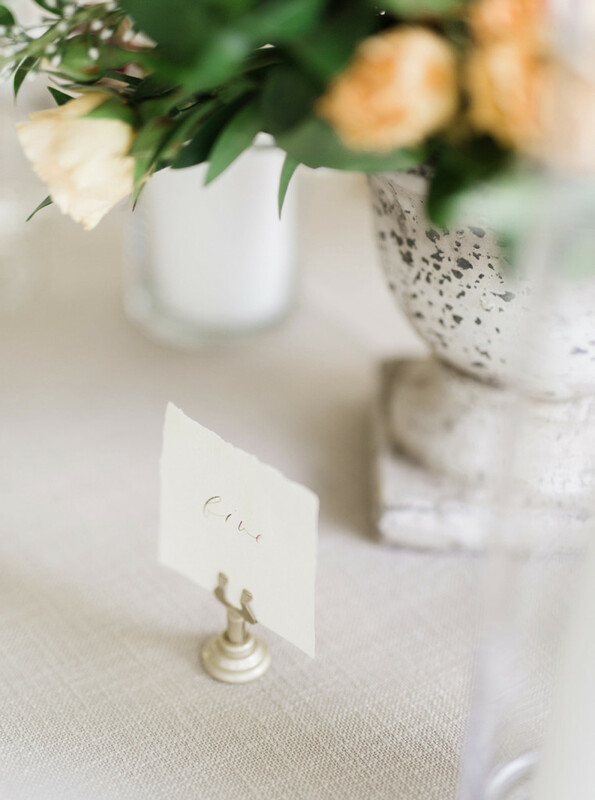 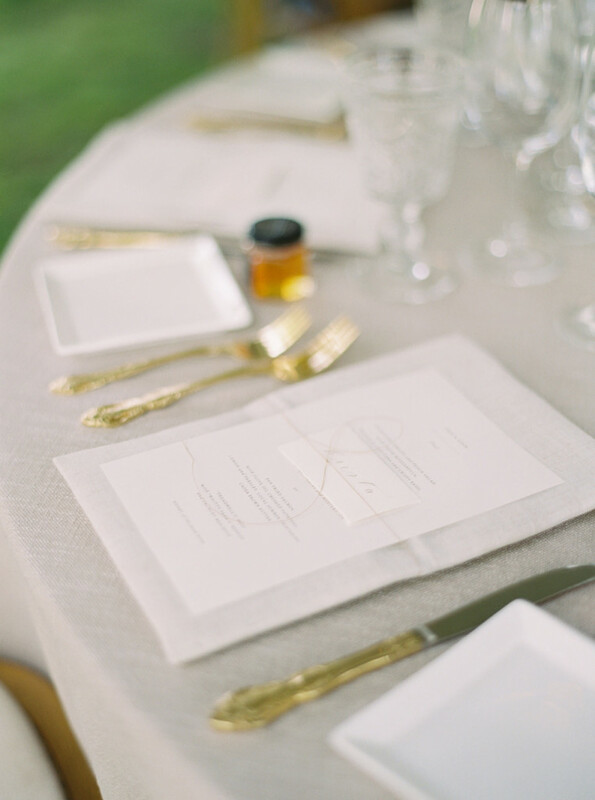 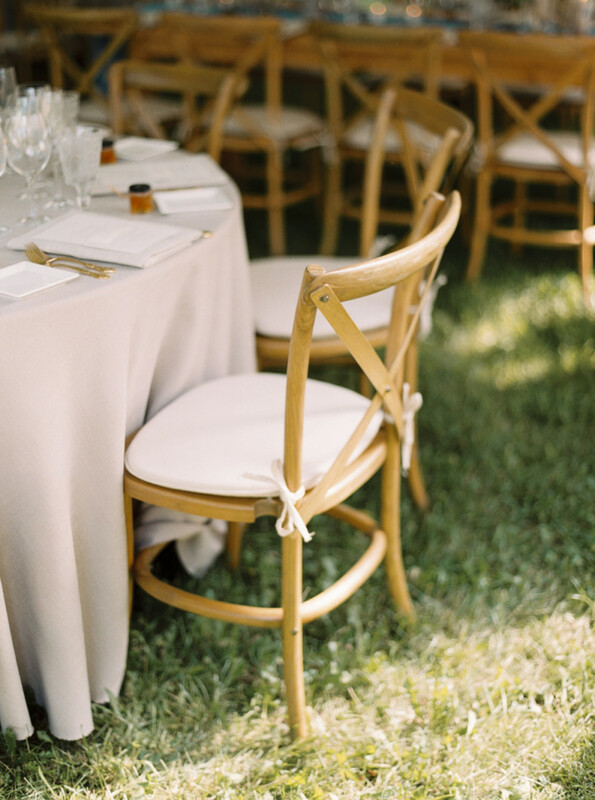 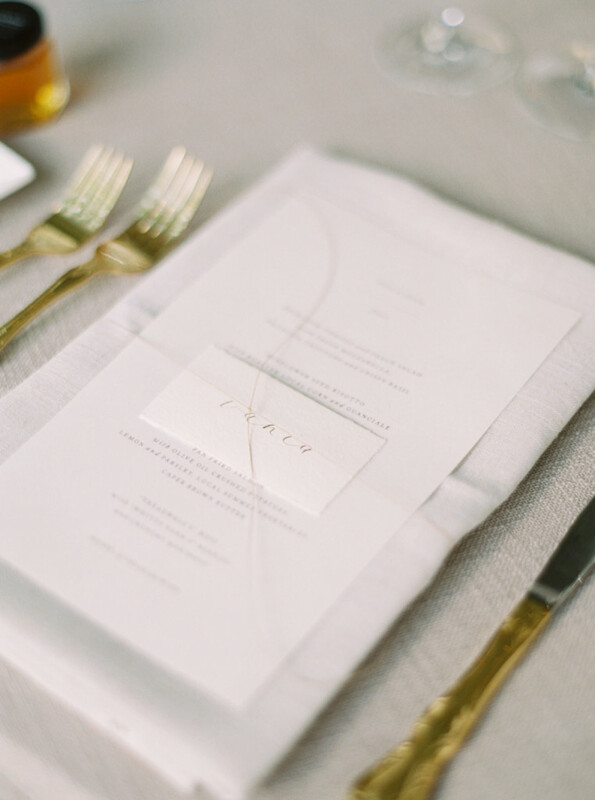 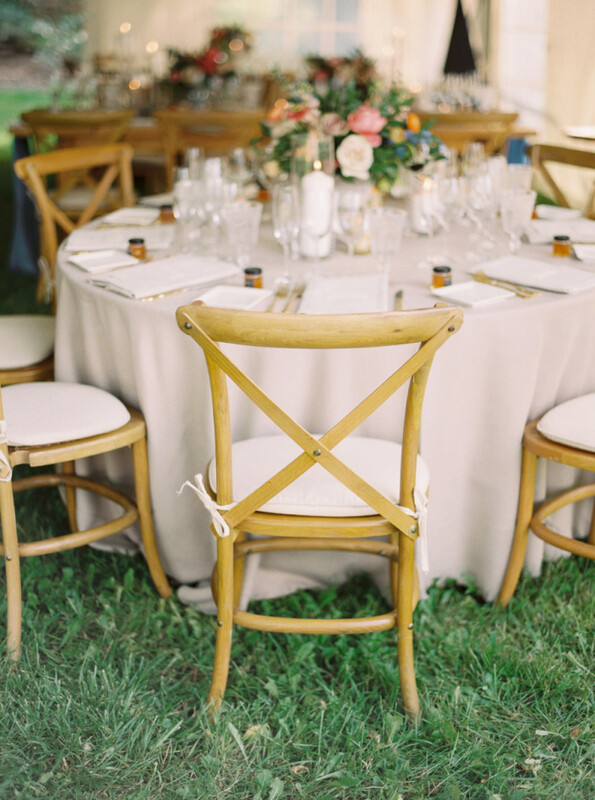 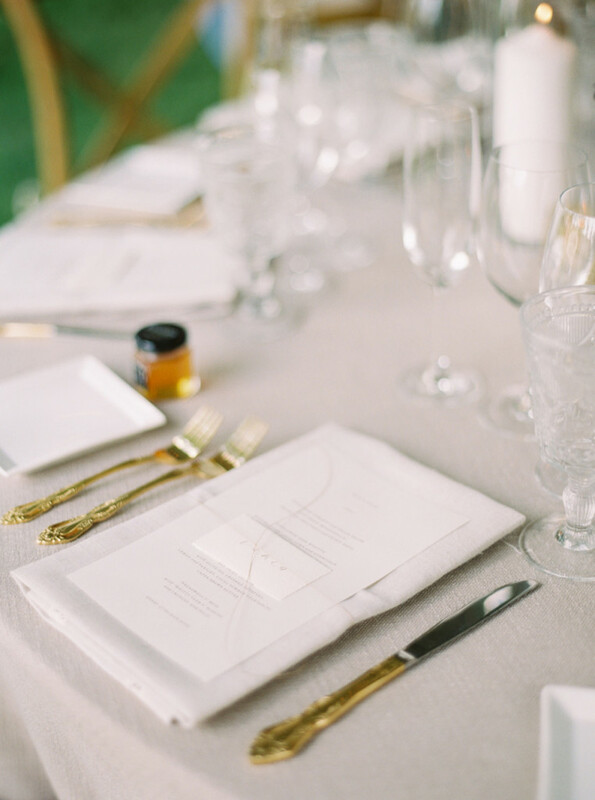 Because it was an outdoor wedding with a summer breeze, we tied each individual place card and menu to the beige toned linen napkins with delicate fine twine. 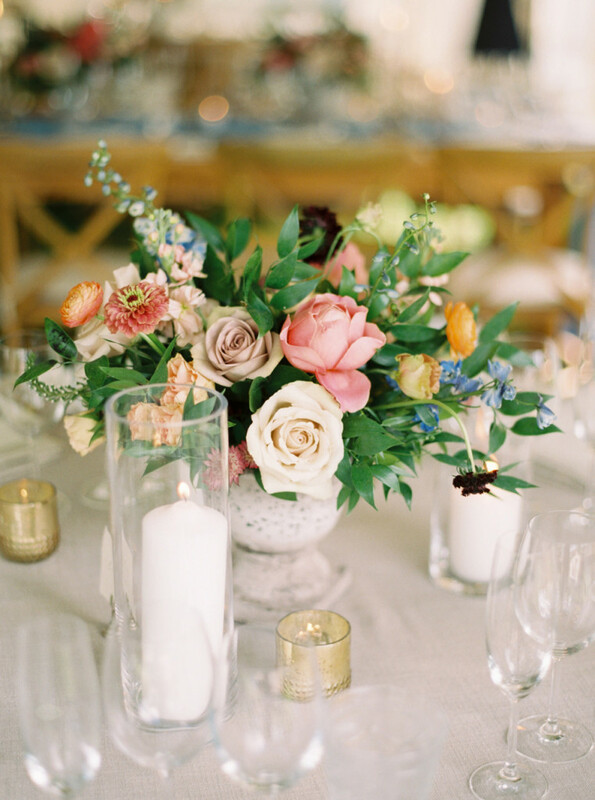 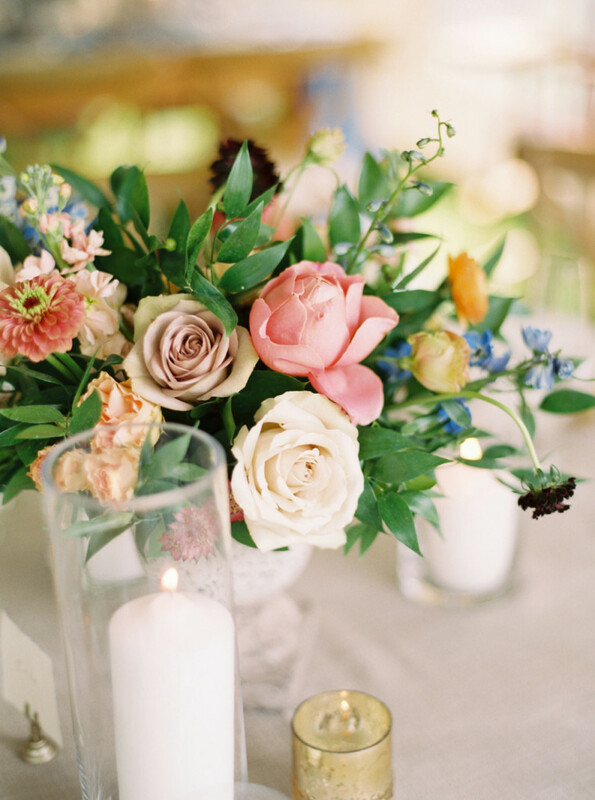 Candles were lit across all of the tables surrounding each arrangement and table number, creating a magical stage. 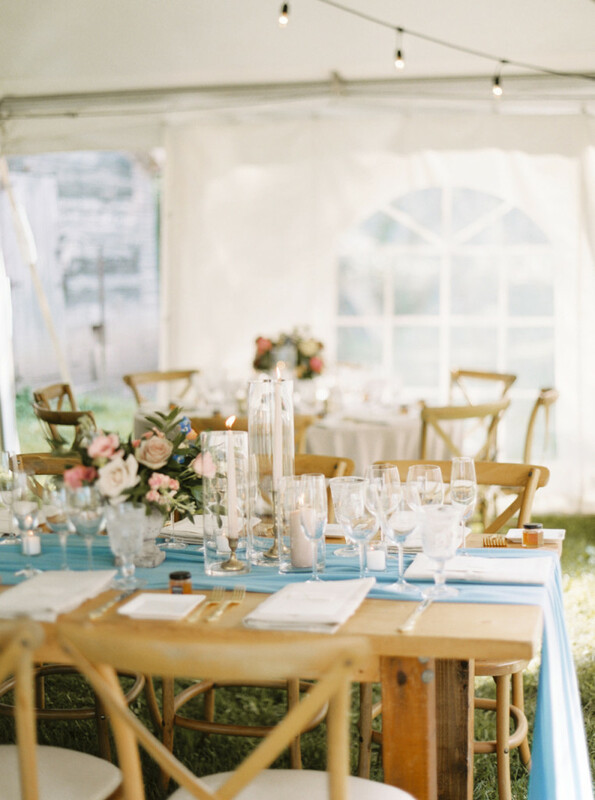 Erin had thoughtfully setup a vintage sewing table dedicated to her Mum, just behind her seat. 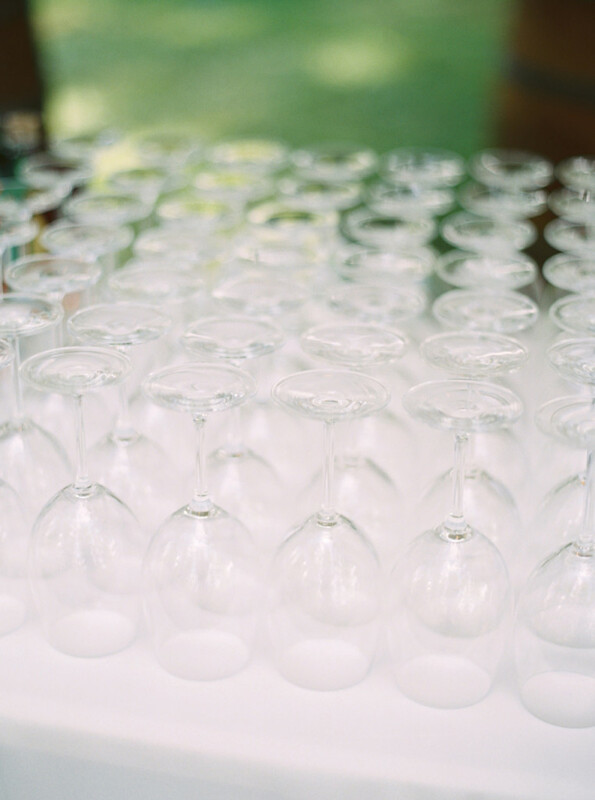 A sign revealing the words, “Live with your glass half full” was displayed in dedication of her memory. 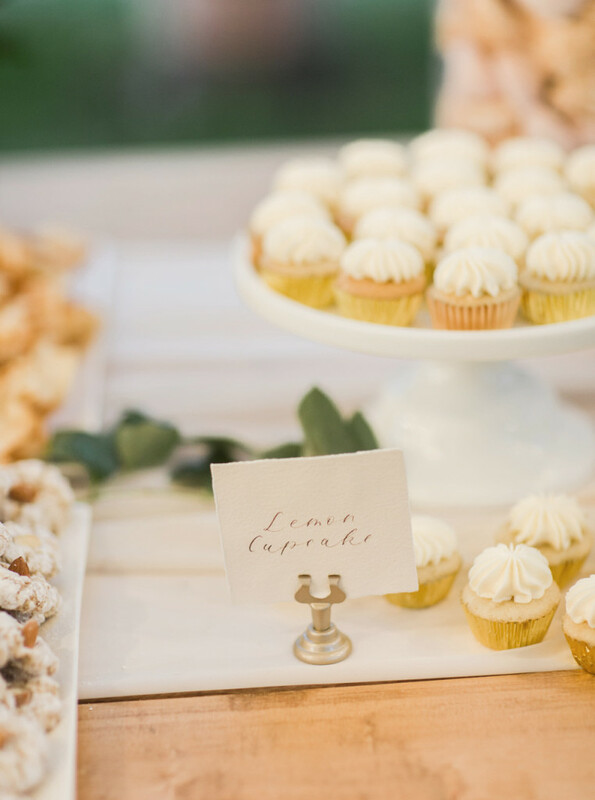 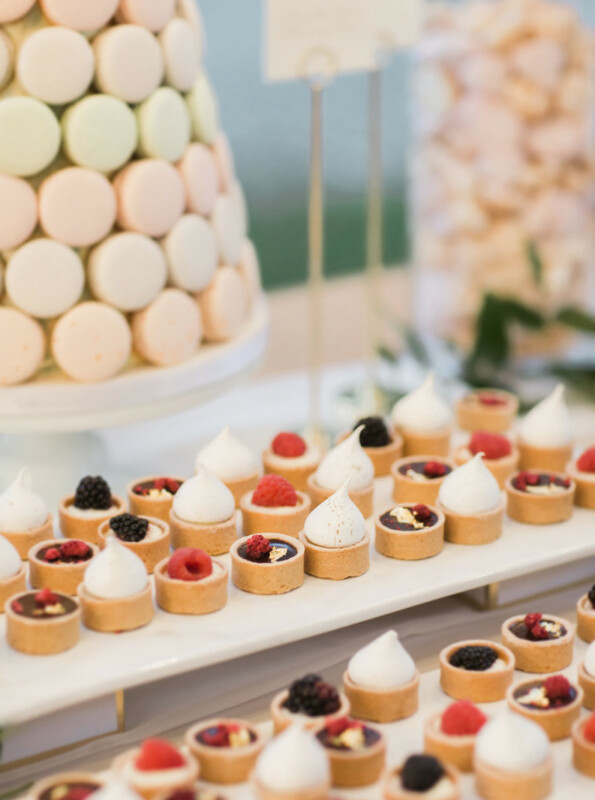 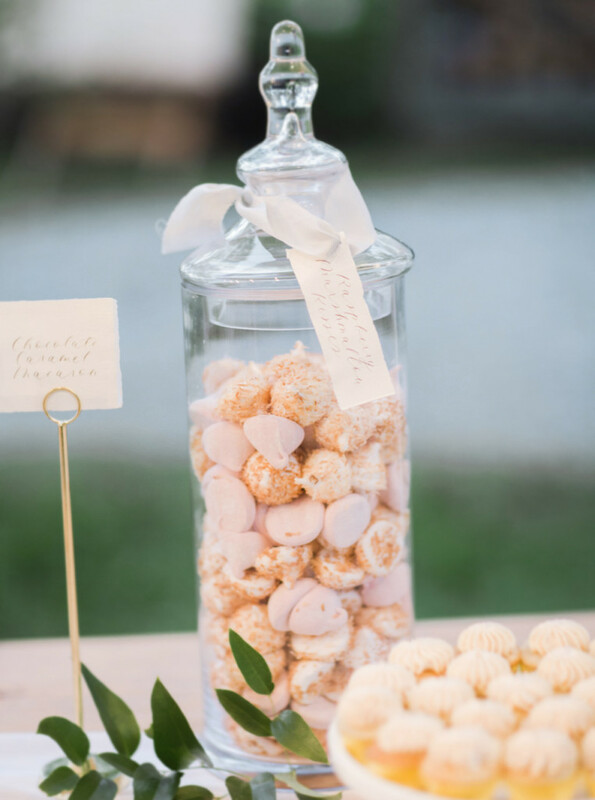 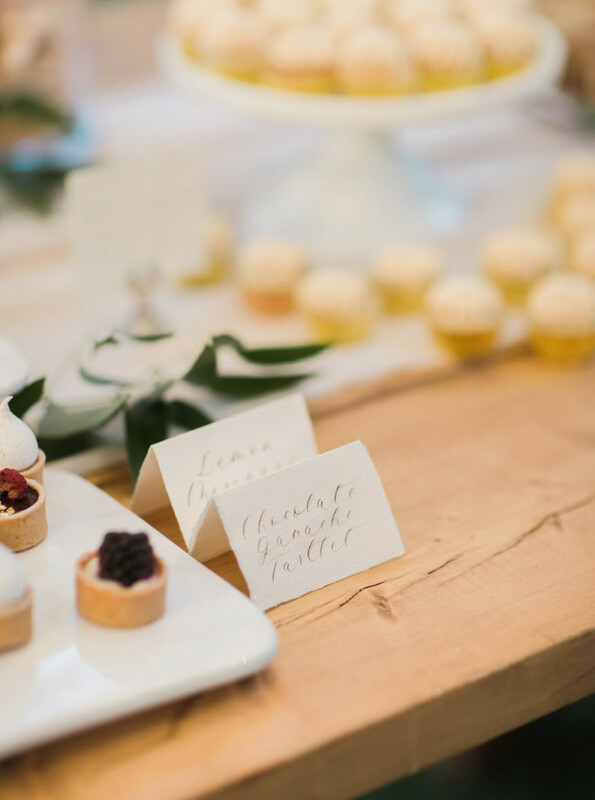 Cake and sweets were set out later in the evening from The Dessert Room, featuring carefully prepared handmade tags showcasing dessert names – such a lovely touch to a sweets table! 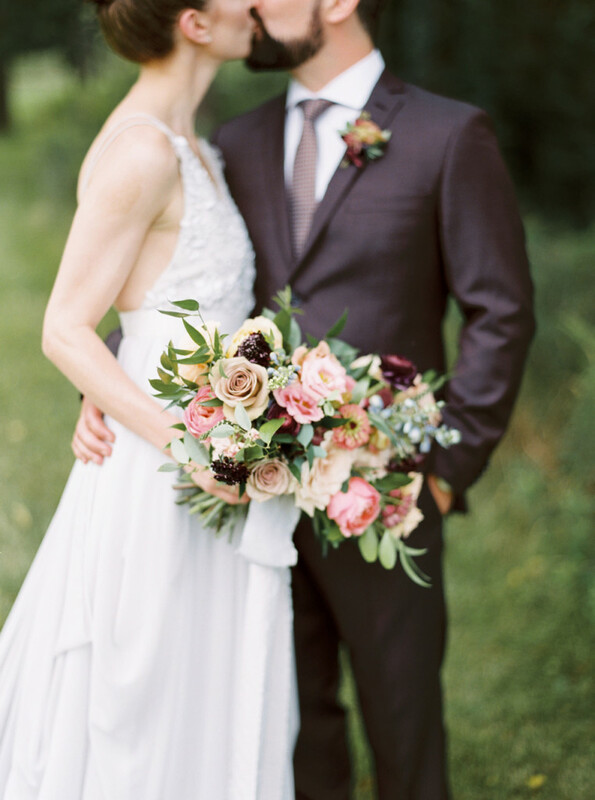 A big thank you to Katie Nicolle for photographing this meaningful day, and capturing these moments and special details so timelessly.